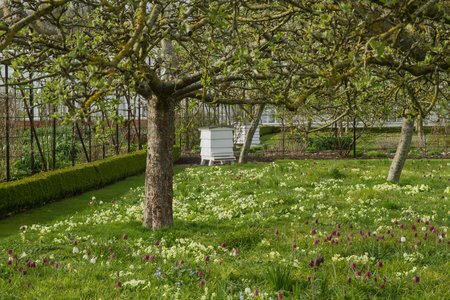 Fritillaries are the flowery beacons of early April in the orchard at West Dean Gardens. 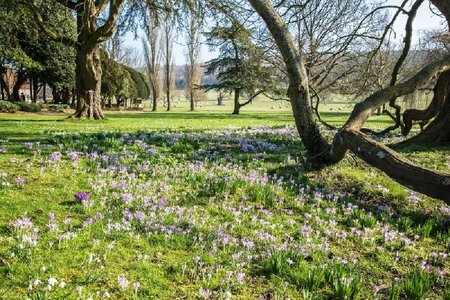 Generally the appearance of all/any bulb is a treat, even blousy pink tulips that are currently frolicking in the Walled Garden are eye-catchers, wear your sunglasses though as they're so bright. 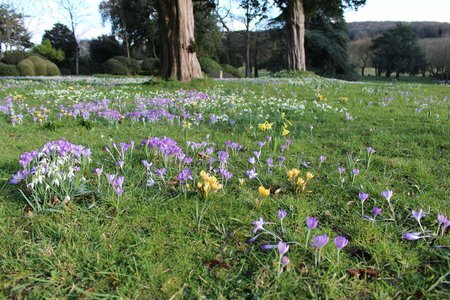 At this time of year gardeners are delighted to see the first naturalised bulb displays as some sort of payback for a less-than-thrilling two months of cutting back herbaceous and applying compost and bark mulch over winter. Read more in our latest blog by Sarah Wain. 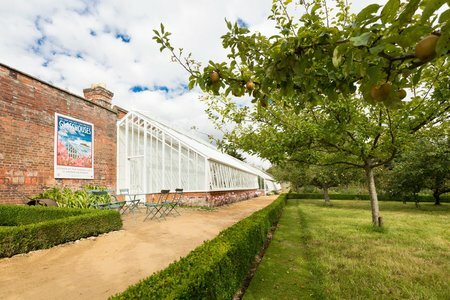 This month Sarah Wain writes about the significance of the Victorian glasshouses. 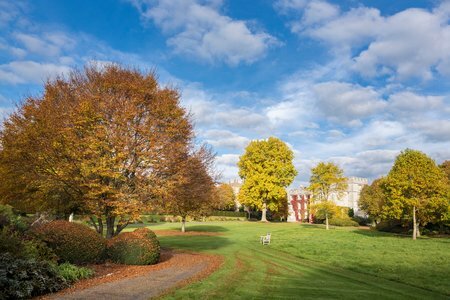 Gorgeous autumnal weather - dry still and colourful means there's something for everyone to enjoy in the gardens. 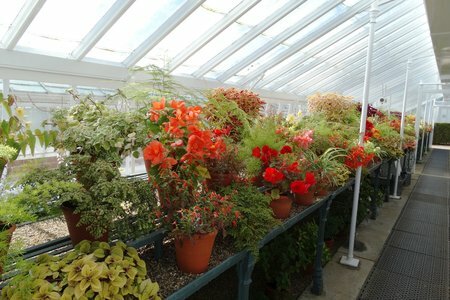 Glasshouse cleaning has started in earnest and we're moving from a season of glasshouse displays to the housekeeping months, so still a busy time. 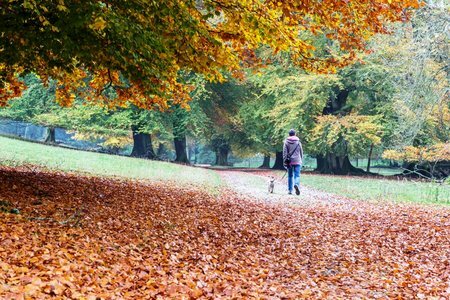 Autumn weather can be glorious - it's my favourite season, and we're hoping that the sun will shine this autumn to entice you into the gardens at West Dean. Is there a more exhausting job than hauling long one-inch diameter hoses full of water around a garden and remembering to turn them off and on? Probably, but at the time it doesn't seem that way. 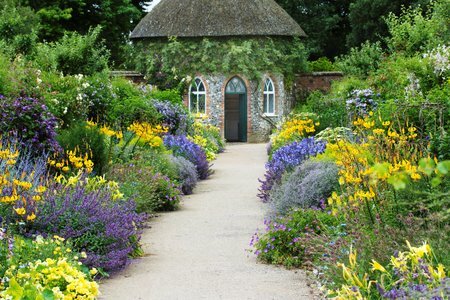 After all the rain in June, July has been incredibly dry at West Dean, great for flowers but not so great for vegetables. Oh July! The month we've all been working towards from the beginning of the season thinking unreasonably that we will be on top of all the early seasonal work by the time it arrives - not so! Flaming June...or it would be if only we stopped, stood and saw the magical scenery around us. 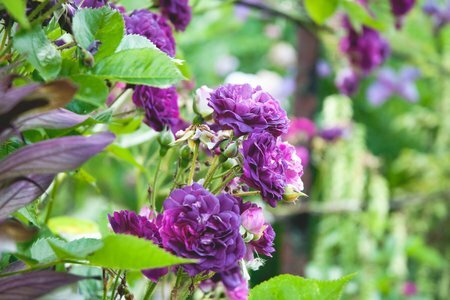 Gardeners tend to keep their heads down at this time of year to plough through the work. The arboretum still awaits your viewing. 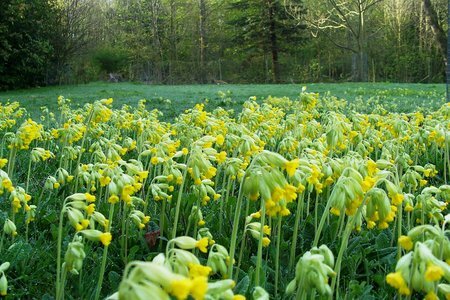 The cowslips, sheets of them, are looking magnificent.